Are you fed up with reading long, boring, lengthy paragraphs after paragraphs of text and want to get up and running in Python as soon as possible? Well, you're not alone. I for one hate having to read through masses of text for very little benefit. Python In A Day strips away the non essentials and instead provides you with the fundamentals from which you can blossom as a Python programmer. So, what can I expect from the book? 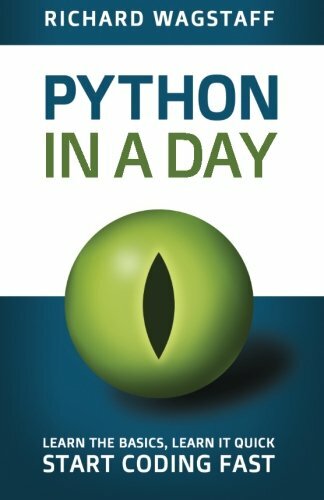 Learn the Basics Python In A Day provides you with the fundamental building blocks to get you up and running in Python in no time. Learn it Quick Written for simplicity so that you can learn Python quickly and efficiently. Start Coding Fast You start coding as soon as Python is installed on your computer. Anything else? Yes! Lots more. For example, every single script in the book is available to view online or download, providing you with all the code you need at your finger tips! Learning to code does not need to be difficult or complicated. This book will supercharge your Python learning experience.